Alpine Lake Animated Wallpaper creates a beautiful scene where is so quiet. This cozy and wild land is inhabited by bears and deer, and the lake is full of fish. Day is slowly turning into night and a full moon slowly rises over the mountains. Do you enjoy your desktop having beautiful wallpaper? Just have a look at the Animated Desktop Wallpaper Midnight fire. Here, at midnight the fire is burning on the riverbank. Wallpaper Scout can generate re-distributable.EXE installers that will install your flash wallpaper on the end-user desktop. When adding a flash file to the Favorites list, the file is automatically saved onto your hard-drive. Flash2X Wallpaper Maker is a program to convert SWF files into Flash wallpapers. It creates Flash2X Wallpaper Maker and allows users to install Flash wallpapers easily. Desktop Wallpaper Manager allows you to easily preview and change your desktop wallpaper. Use this program to display illustrated calendars on your desktop and display short notes or reminders directly on your desktop wallpaper. 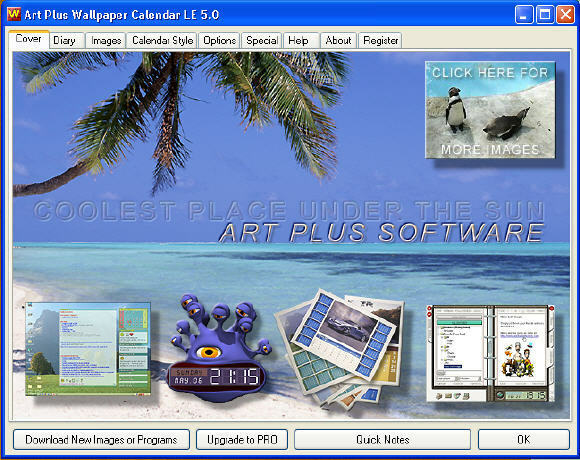 Wallpaper Calendar Pro comes with numerous predefined calendar layouts and built in diary. Clint Wastwood, Hilary Swank, and Morgan Freeman star in this wallpaper from the Warner Bros. drama, Million Dollar Baby. It is very great wallpaper, and it is free of charge. If you like this movie very much, download it quickly.